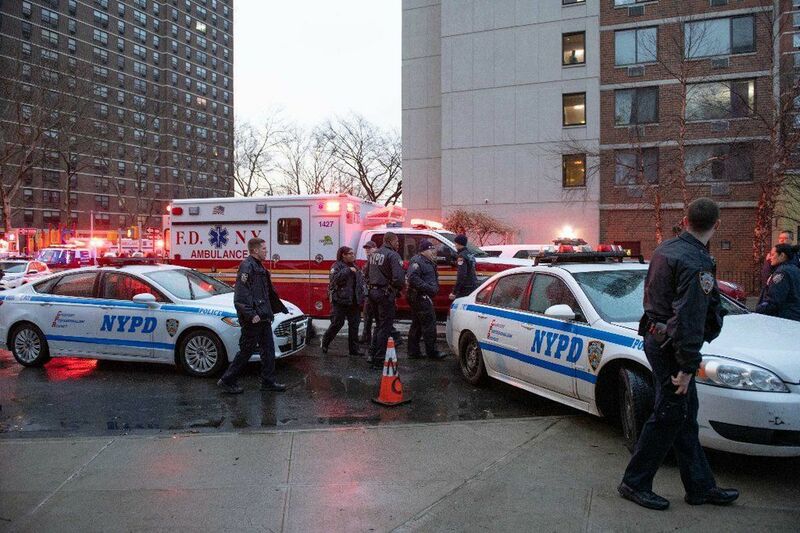 Cops shot and killed a knife-wielding man who tried to stab his lover Friday amid a long-running feud over a gender transition, police and a family member said. Two officers fired five rounds at 32-year-old Joshua Williams, hitting him in the torso inside the apartment he shared with his husband Worth Williams. A relative said the couple was fighting in recent months because Joshua Williams was undergoing hormone therapy to transition into a woman. Worth Williams, the relative said, was against the transition. On Friday morning Worth Williams called police to say Joshua had attacked him with a knife. When police arrived, they found Joshua Williams hiding in a closet. Cops did not handcuff him as they escorted him from the apartment. Worth Williams told cops he had an order of protection against his husband — but the officers didn’t handcuff Joshua because they didn’t know if the order of protection was valid, Monahan explained. “Suddenly, the individual broke away from the officers, grabbed a large knife from the kitchen area, and ran toward the 911 caller [Worth Williams],” Monahan said. “They are painting my son as a real bad villain,” said Joshua’s father, Bronx resident Herbert Rembert. Two officers fired five rounds at Joshua Williams, 32, in the home he shared with his husband Worth Williams. The couple had feuded over Joshua Williams' transgender therapy, which he hoped would help him become a woman. "Two officers fired five rounds at 32-year-old Joshua Williams, hitting him in the torso inside the apartment he shared with his husband Worth Williams." Hey Joshua, was Worth worth it? Oh, right, you can't answer that cuz you're dead. Gee, too bad, my heart bleeds...not. Didn't have a violent streak in his body? Then why did his husband have a restraining order against him? I hope I am never this clueless as a parent. The whole family are just turds in a shitter and having Joshua 'pushing up daises' is probably a gift to the people of New York, as well as to all humanity. Whole family is trash and the police need to be sued for this. Disgusting how no one takes domestic violence among the gays seriously. Ok, so Worth is a gay man, who thought he had married another gay man, but Joshua wasn't gay, he was transsexual. I can see where this would complicate the relationship. Oh dear ... Just kidding! I don't care that the warped are dead ... or warped, unless they want to wear my clothes, which used to happen until I insisted that they bring their own apparel because I'm tiny and I got sick of them wrecking my stuff. True story ... too many times. Shelley Boyle went to pitch cocaine legalization to state troopers. Mirza Hussain tried to marry his niece. Where do you keep a loaded AK-47?